Tripodmaker, the brainchild of Pieter-Jan Vandendriessche and his partner Eva Spillebeen, is the first Belgian designed and made Delta-type 3D printer. You may have read of Tripodmaker before, as Eva and Pieter-Jan were featured in PC Magazine, ZDNet and on 3ders.org. They won 25.000 Euros, qualifying first in the Bizidee (in Dutch only) contest, which supports young entrepreneurs for their innovative business plans. 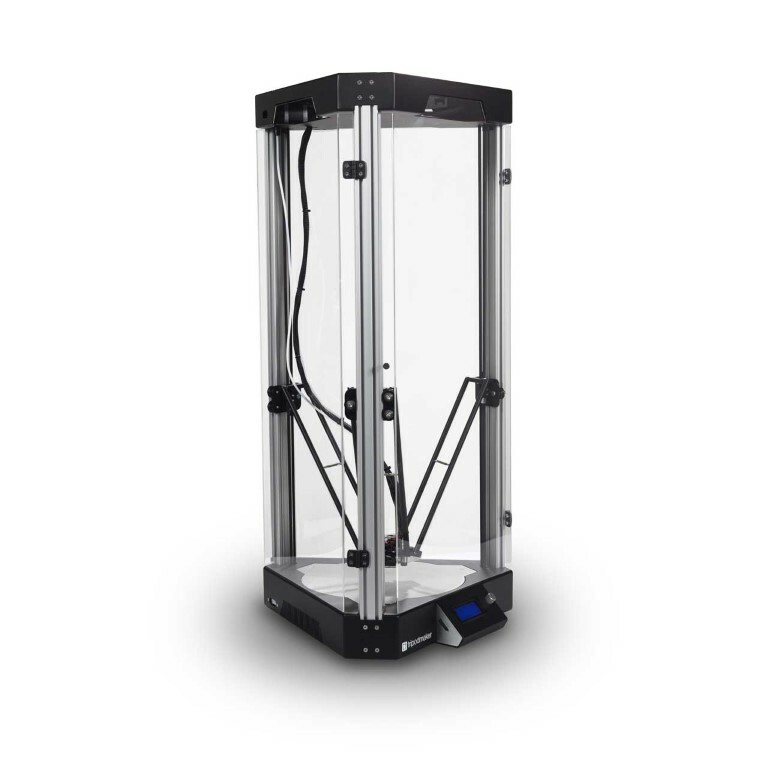 The specs of the Tripodmaker are impressive: it features a print area of 30cm, a work height of 42cm and a massive 45 x 53 x 101cm metal frame, amounting to a total weight of 19 kilograms. The machine is capable of reaching a layer precision of up to 75 microns. It uses standard 1,75 mm filament with a Bowden type setup, a bespoke aluminum extruder and a nozzle of 0.4mm. Print speeds range from 20-150mm/s and the hot-end can cope with temperatures up to 295°C, making the Tripodmaker a true multi-material 3D printer. According to their website, the Tripodmaker can print with ABS and PLA, but also co-ployesters (PETG), composites like BambooFill, WoodFill, CopperFill, BronzeFill, but also Nylon and even Polycarbonate! Last but not least, the Tripodmaker comes with a front-end LCD controller and SD Card slot, making it a standalone 3D printer. We had been in contact with Pieter-Jan before the fair, but were under embargo to publish anything with regards to the latest developments around the Tripodmaker. But as he now has launched it officially, here it is: the all new Tripodmaker Black Edition, which combines all of the above specs with a very high quality finish, an enclosed casing, elegant design and automatic printbed calibration. It also has a nifty feature which enables it to recover prints during a power failure. Vandendriessche is also working on the new PRISMA platform software, which simplifies the slicing operation dramatically and for which he revealed us some interesting and intriguing features. 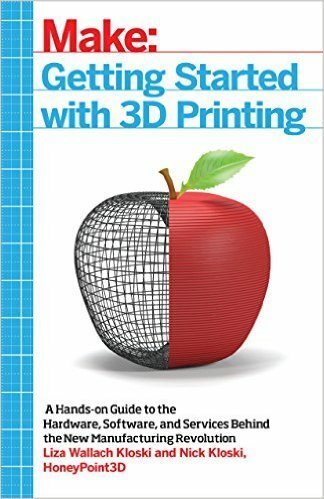 We are happy to announce that 3dprintingforbeginners.com will be the first to obtain a Tripodmaker for thorough testing purposes. The same goes for the new software, as soon as it is out of beta testing. So check in regularly, if you want to get to know more about this very exciting Delta 3D printer. Felix Printers were also present at the 3DP Europe. We talked to Wilgo Feliksdal, the CEO of Felix Printers, who presented us the latest edition to their 3D printer line-up, the Felix Pro﻿1. 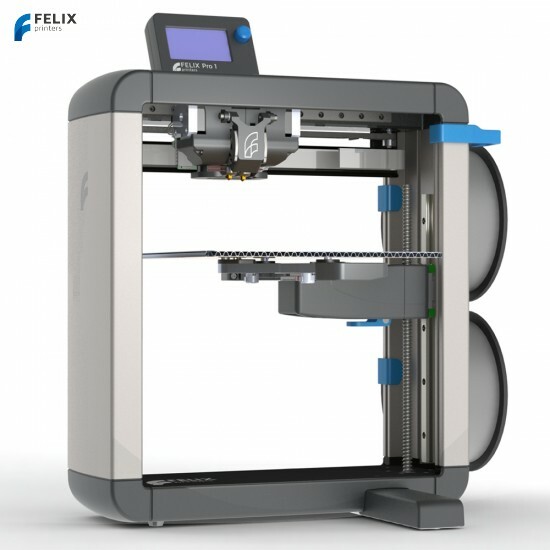 The Felix Pro1 represents a serious step up from the Felix 3.1, which was already a very capable 3D printer. The Felix Pro1 comes equipped as standard with two(!) nozzles, automatic bed leveling, a very smart nozzle positioning feature enabling the printer to avoid accidental interference with a printed object, a heated and easily detachable magnetic printbed and even a filament flow detection feature which pauses the print and thus avoids a potential print failure. It also features an ingenious hot-end replacement system that makes changing a clogged or a different sized hot-end as easy as a breeze. No unscrewing or disassembly of the whole print-head needed, just pull and click. The design was also completely re-done, as the Felix Pro1 now boasts no more bare aluminum bars, but a sleek enclosure. The LCD front-panel is now situated at the top of the printer, allowing for easy access. Using an SD card, the Felix Pro1 can be a stand-alone printer and future upgrades will include Wifi capabilities. The Felix Pro1 achieves an impressive minimum layer height of 50 micron, has a build volume of 255 x 245 x 225 mm and its heated bed can reach up to 105°C. The Felix Pro1 standard nozzle diameter is 0.35mm and the all-metal hot-ends can manage maximum temperatures of 275°C. The machine is configured to use 1,75mm filament and thanks to its great hot-ends, it can print with a large variety of materials, like PLA, ABS, Flex, PET, PVA and composites, like the specialty filaments developed by ColorFabb. The Pro 1 uses either FELIXbuilder or Repetier Host as software and one licence for the FELIXbuilder is included. The Felix Pro1 retails at 2.150 EUR, add 70 EUR to upgrade your Pro 1 with a heated bed. We are looking into obtaining one of these promising 3D printers, in order to give it a thorough testing. 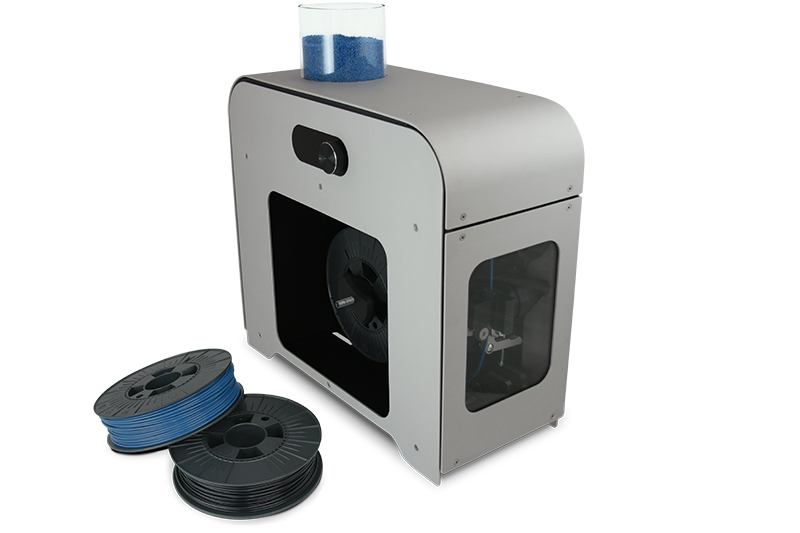 Filament extruders are to many 3D printing enthusiasts the ideal solution against high filament prices. If you have never heard of 3D filament extruders or if you want to learn more about the technology, check out our introduction to DIY filament. A recurring problem with many DIY filament extruders is that they do not manage a consistent enough extrusion, resulting in filament with varying diameter or trapped air bubbles. That's were 3devo comes in with their 3D filament extruder called the NEXT 1.0. You may have heard of 3devo before, as they got quite some publicity during their Kickstarter campaign. Although it was not fully funded, they continue their work on this project. And the machine they have developed is really worth a closer look. With its dimensions of 506 X 216 x 540mm (19.9 x 8.5 x 21.3 in), the NEXT 1.0 comes in nicely designed anodized blank or black powder coated frame that is no bigger than a standard desktop computer casing. The 3devo team nevertheless managed to fit in a complete extrusion system together with an automatic spooling system. The NEXT 1.0 features a few nifty developments: it uses a professional hardened nitride steel extrusion screw allowing for a compression zone around the melting chamber, it has a tri-zone heating system, giving you very accurate control for the extruder heat output and it uses a high-torque precision motor (no stepper) to ensure a linear extrusion. The NEXT 1.0 is able to extrude filament with diameters ranging from 0,5 - 3mm. Filament consistency is permanently checked via a self-regulating diameter control system, ensuring consistent and very precise output. Two massive fans ensure the cooling of the vertically extruded filament, enabling it also to make those ultra-thin extrusions up to 0,5mm. The extruded filament then passes through the automatic winding system, allowing for neatly rolled spools. We all know how important this is, as entangled filament on the roll is often a cause for print failures. The spooling system on the NEXT 1.0 is easily accessible and the winder can be set to custom fit specific spool dimensions. The NEXT 1.0 can achieve an extrusion temperature of up to 500°C, making it possible to extrude an extremely wide selection of materials, including Polycarbonate and other more exotic materials with higher melting points. The current extrusion speed is about 1kg of filament per hour. It must also be noted that the extruder is extremely quiet when it is working, making it a possible office desktop application. Lucas van Leeuwen of the 3devo team was kind enough to give as a complete tour of their machine and provided us with a lot of details. The NEXT 1.0 retails for 1850 EUR for the basic version and 2550 EUR for the advanced version that features some extras like the black power coating, a build-in mixing section, high-volume hopper, an extra spool holder, 2 extra spools and a quad-zone heating system. We certainly hope to get one of these babies for testing, even though it is already clear that this is no filament extruder for the average hobbyist. The NEXT 1.0 is aimed at institutions, research facilities, universities, FabLab's or Hackerspaces who would like to experiment with different filament types. We also met with Edouard Destoop, the manager of TechPro Filaments. Edouard is a filament retailer for TAG-PLASTURGIE, which is offering a large line of PLA and ABS filaments. But what caught our attention was the coalumin filament, a composite filament with infused parts of aluminum. According to the manufacturer, the coalumin filament is particularly well suited for mechanical applications, as it has a very high resistance to abrasion, but is also chock and compression resistant. 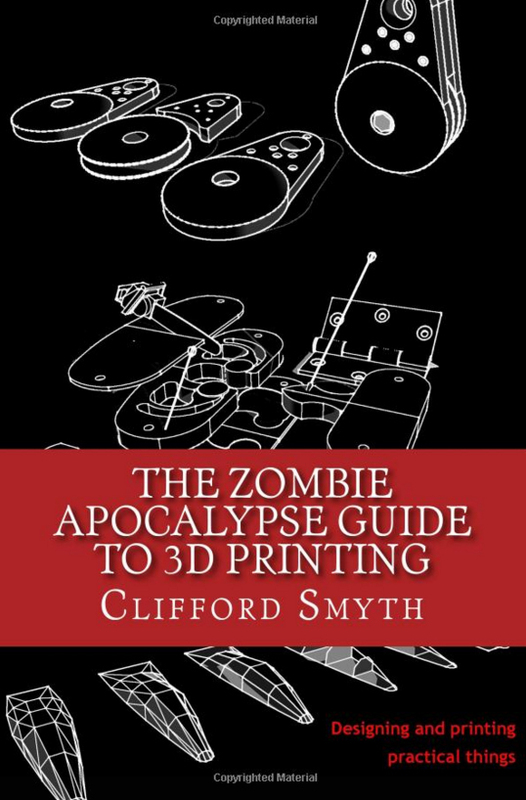 Edouard promised to provide us with some testing samples, so there will be an upcoming review in due time on this novel and rather exciting material. All in all, the 3DP Europe was a small 3D printing fair but one worth visiting. Such smaller sized events typically offer quite a few networking opportunities and the Brussels fair did not disappoint in this regard. Now, as several of the exhibitors told us, there have been a few hiccups in the lead-up to the event but as visitors we didn't feel affected at all. There is no reason why this event can't grow into something bigger in the coming years. We'd quite like to make it a permanent fixture in our calendar as it is the closest 3D printing expo to home. Do you have any comments or suggestions regarding the 3DP Europe? Feel free to drop us a comment below.